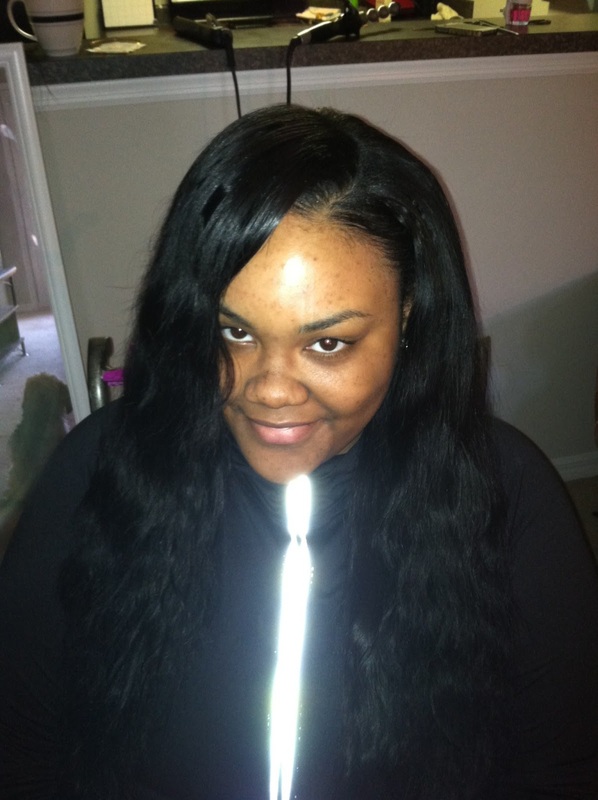 I got my Dreamzz Hair installed Monday by my fabulous friend, Erica. 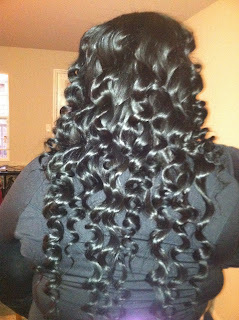 I conditioned the hair with Organix Argan Oil conditioner on Sunday to prepare it for the install. 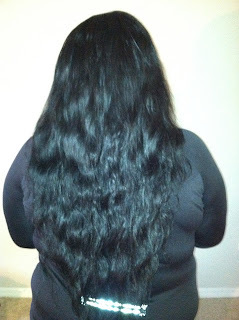 The Brazilian wavy hair has a subtle wave pattern, which I love. 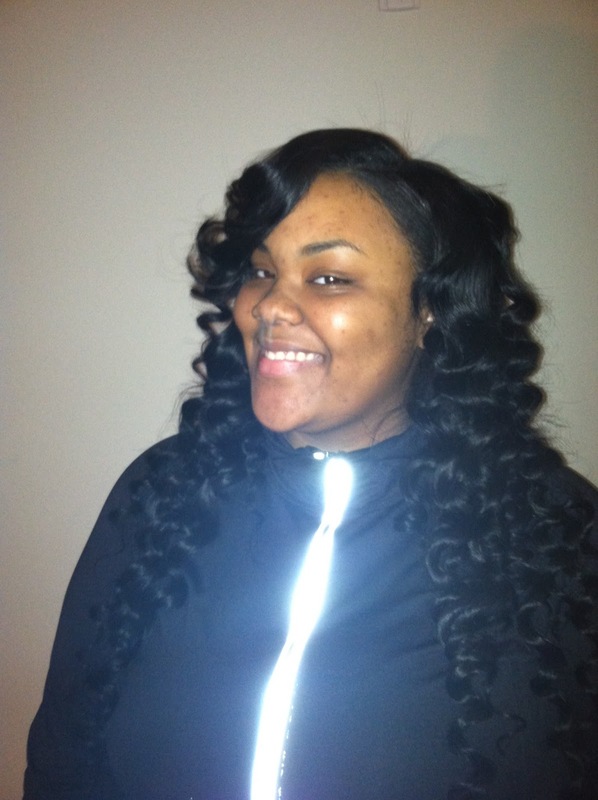 I switched it up with a side part with a layered bang. I'm still getting used to the dramatic bang. Erica wand curled my hair with the curler that has the spheres on it, which gives it a more curly look. I slightly combed out the curls last night to see what it would look like fuller. I took photos from every aspect of the hair: natural state, fresh wand curls, and combed out. So far I'm loving the hair. I have noticed just a little bit of shedding, but I'm not sure if that's due to the hair being chemically dyed black. It's super soft and blends well with my thick, natural hair. I'll do another review in a few weeks and give you an update. Hope you love! that hair is gorgeous! cute photos! Yes, love the hair! Those curls are beautiful! Hey Mia. I wanted to know when will you do another review of the hair that you have installed? I wanted to order from them, but wanted to know the quality of it.